SAN ANGELO, TX -- Thunderstorms bringing heavy rain to already saturated areas prompt a Flood Warning this evening. San Angelo Police are blocking off Howard and Forest Park near Brentwood Park because of flooding. According to the National Weather Service Office in San Angelo, at 5:20 p.m. doppler radar indicated thunderstorms producing heavy rain across the warned area. Significant street flooding was reported in San Angelo near Sherwood Way. Rainfall amounts have been 1 to 2 inches during the past hour from Grape Creek to San Angelo to Vancourt. Flash flooding is expected to begin shortly. Torrential rainfall is also occurring with a strong thunderstorm near Vancourt, or 20 miles east of Christoval, moving east at 20 mph. Winds in excess of 40 mph will be possible with this storm., and may lead to localized flooding. Do not drive your vehicle through flooded roadways. Frequent cloud to ground lightning is occurring with this storm. Lightning can strike 10 miles away from a thunderstorm. Seek a safe shelter inside a building or vehicle. The National Weather Service office in San Angelo has issued a flood advisory for the city of San Angelo. Doppler radar this afternoon indicated heavy rain due to thunderstorms. Also, rainfall amounts of 1/2 to 1 inch will cause street flooding in San Angelo. This will cause minor flooding in the advisory area. 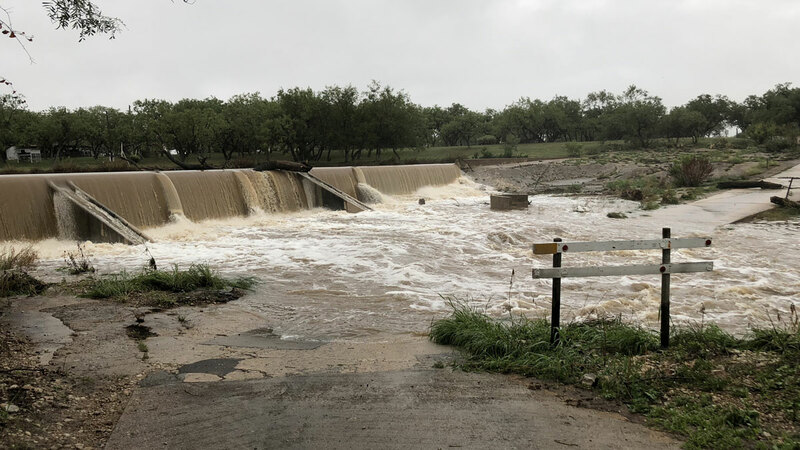 Some locations that will experience flooding include San Angelo, Wall, Orient, San Angelo State Park, Twin Buttes Reservoir, Water Valley, Grape Creek, Goodfellow Air Force Base, Carlsbad, Veribest, Broome, O.C. Fisher Reservoir, Arden, Lake Nasworthy, Tankersley, US-87 Near The Coke- Tom Green County Line and Harriet. There is also a Small Stream Flood Advisory for Northwestern Schleicher County in west central Texas, South central Tom Green County in west central Texas, Northeastern Crockett County in west central Texas, and Southeastern Irion County in west central Texas Friday evening. The flood advisories will remain in effect as long as the rain continues to fall. Have seen the Concho raging a mile wide between San Angelo and Mertzon. The South Concho is just as capable. I was on the city survey crew in the late 60s when a developer wanted to build in the Red Arroyo flood plain. Pretty obvious then that was not a good idea!